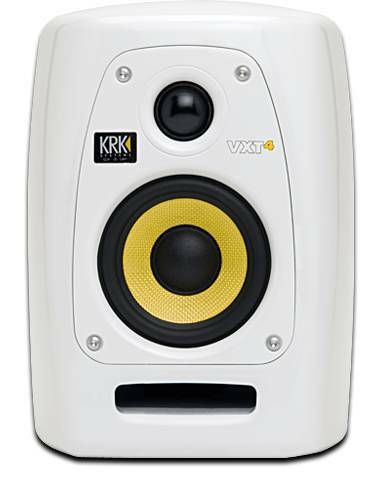 KRK VXT-4W. Bästa aktiva högtalaren vi har. Bas i vävd kevlar, 1" silkes-domediskant, dubbla slutsteg 180W peak 45W rms. Slår alla andra aktiva studiohögtalare vi har. 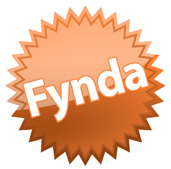 Kom och lyssna. En välsignelse för öronen och för plånboken - jämförs med betydligt dyrare Genelec m.fl. "KRK-högtalarna var årets absolut bästa köp!" Emanuel Eddyson, musiker. Galler medföljer i förpackningen värde 295:-. Stativfäste kan köpas till. VXT-4W är något dyrare än svarta modellen men i gengäld följer galler med. Vi vet inte själva varför KRK valt att göra så. More often than not, project studios don´t have the luxury of a large room, so it´s good to know that compact monitors like these KRKs can produce serious results in smaller spaces. 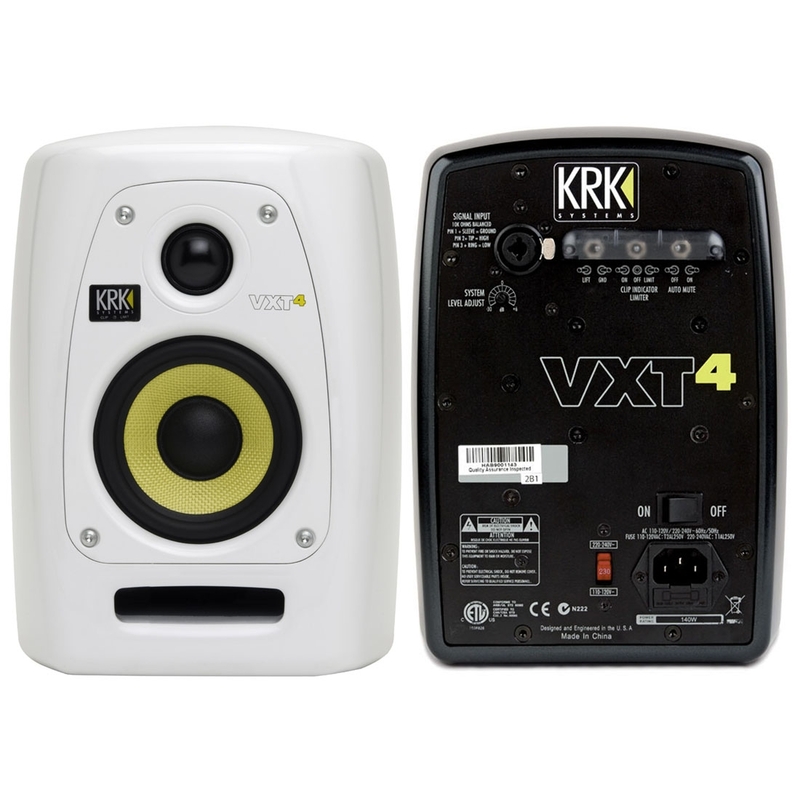 KRK´s VXT4s are the smallest monitors in their VXT series and are designed for serious monitoring in situations that preclude larger monitors, though, as with the rest of the range, they may also be used with a subwoofer to give full-range performance. 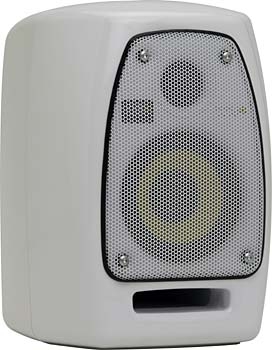 The design brief for these monitors was to get the frequency response as flat as possible, while keeping distortion low and cabinet resonances to an absolute minimum. Of course, all designers strive to meet these aims, but speaker design is all about balancing compromises, which is why no two designs sound the same. The VXT range employs custom-designed drivers in a curved housing, in order to reduce diffraction and cabinet resonances. Rather than using wood or cast metal, the cabinets are made from ABS structural foam, which is both strong and well-damped. The moulding process means that parallel walls can be eliminated, which reduces the build-up of internal standing waves at specific frequencies. Omni-mount points are fitted to the cabinets for fixed installation purposes and the metal rear panel doubles as a heat sink. 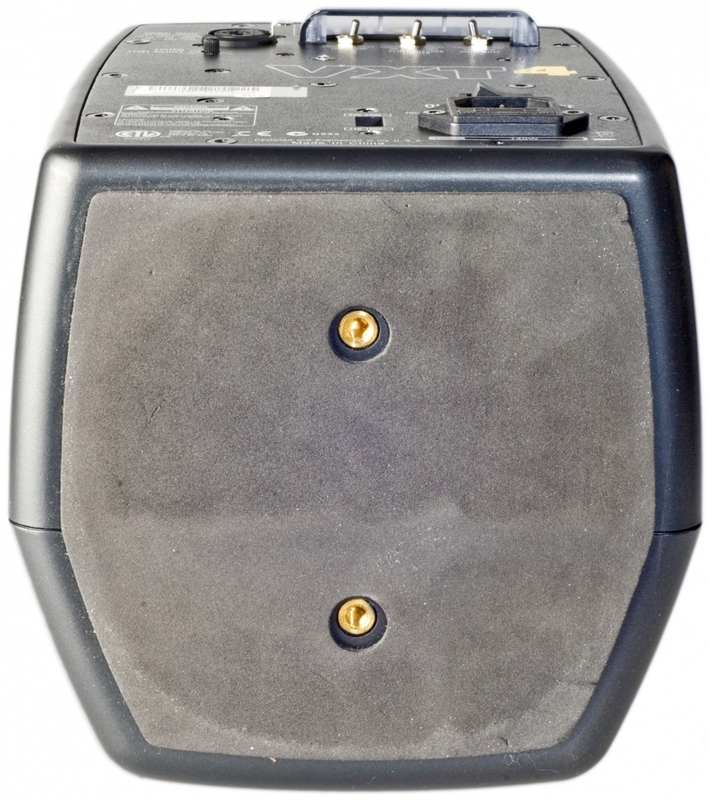 Power comes in on a conventional IEC socket, with a power switch on the back of the monitor. 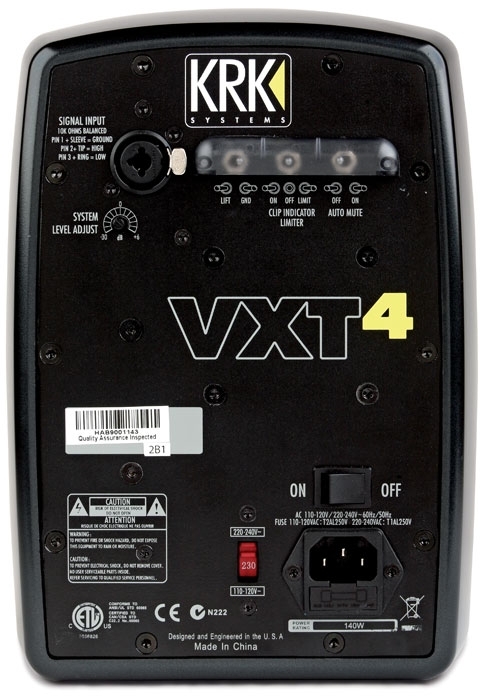 The VXT4 is a ported, active, two-way design, combining a one-inch, silk-domed tweeter with a four-inch, woven Kevlar-cone bass and mid driver. Both are fitted to a metal baffle and are flush with the front of the cabinet. 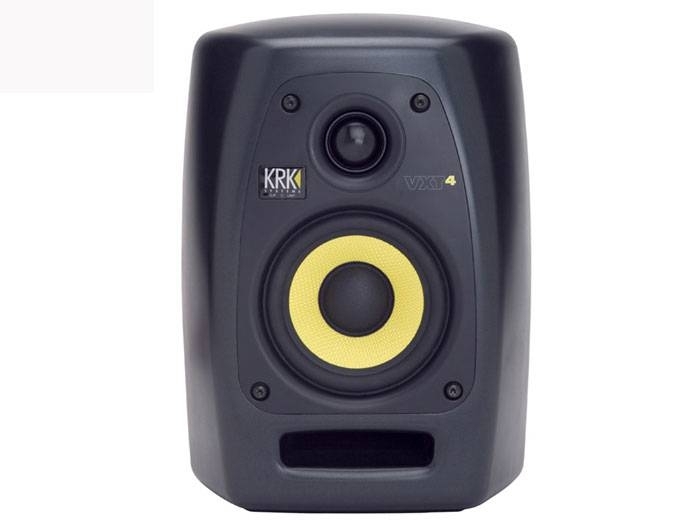 A torroidal transformer powers the two on-board amplifiers and the KRK logo on the front panel illuminates to indicate that the speakers are powered up. Audio comes in on either balanced jack or XLR via a Neutrik Combi socket, wired to the usual convention (pin 2 hot), though you can also plug in an unbalanced jack. In addition to the two-way active crossover driving the amplifiers, there´s also a subsonic filter to remove frequencies below those that can be reproduced by the speakers. Use of a slot-shaped port helps reduce port wind noise, while the shape of the baffle has been designed to help keep the off-axis response even. The metal panel that forms the rear of the VXT4 doubles up as a heat sink. The rear of the cabinet houses an input-level control, and there´s switchable Ground Lift and Auto Mute on or off, as well as a Clip Indicator LED. A limiter circuit is also included. The last can be set to be on or off, but it should be left switched on if you´re in the habit of pushing your monitors hard, as it protects against driver damage. Switching is done using the three-way Clip Indicator/Limiter switch on the rear panel. In the On position, the limiter is bypassed and instead you get a red warning LED when clipping is imminent. In the Off position, there´s no warning LED and no limiter. In the Limit position, the limiter is active, and a green LED shows when it has been activated. The larger models in the series have HF and LF adjustment to help compensate for the placement of the speakers in the room, but on the VXT4 they are omitted, presumably because the more limited low end makes placement less critical. All models also have an Audio Mute switch that shuts off the power supply to save energy if the speakers are not fed signal for 20 minutes. 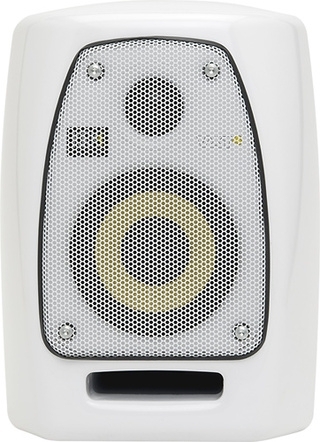 The speakers reactivate as soon as audio is detected. These switches are miniature toggles on the rear panel, protected by a perspex cover, so they are unlikely to be reset by accident — in fact, you need to use a small screwdriver or similar tool to flip the switches through the open bottom edge of the cover. 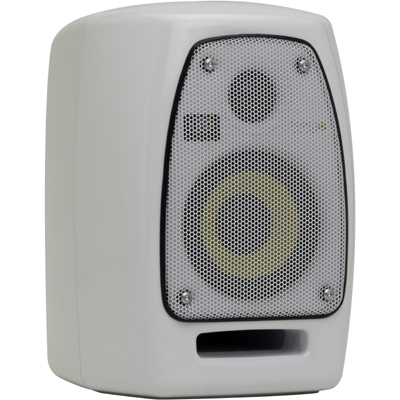 Weighing a hefty 14lbs each, the monitors measure just 256 x 186 x 177 mm (approximately 10 x 7 x 7 inches), which suggests that their most obvious competitor is the similarly-sized Genelec 8020A. A 15W amplifier drives the tweeter, while the LF is powered by a separate 30W amp with an overall frequency response of 56Hz to 22kHz +/-2dB. Compared with larger monitors the output level is understandably less, but in a nearfield situation the published 104dB music or 107dB peak power (at one metre) is still plenty loud enough for comfortable listening. 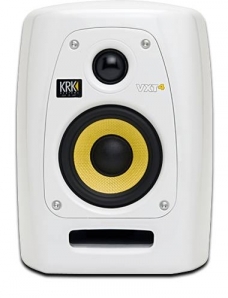 For such small speakers the VXT4s produce a surprisingly even and believable low-end, although of course you don´t get much in the way of really deep ´kick in the chest´ frequencies. Bass guitars and kick drums come across very plausibly — just with less visceral punch than you might get from a larger monitor. The mid-range is excellent, which is one benefit of a small woofer, while the high end is, to my ears at any rate, somewhat to the forward side of neutral. It is still very well controlled, however, and many mix engineers like a ´forward´ quality, as it helps them to focus in on detail and also makes it easier to spot distortion or noise. 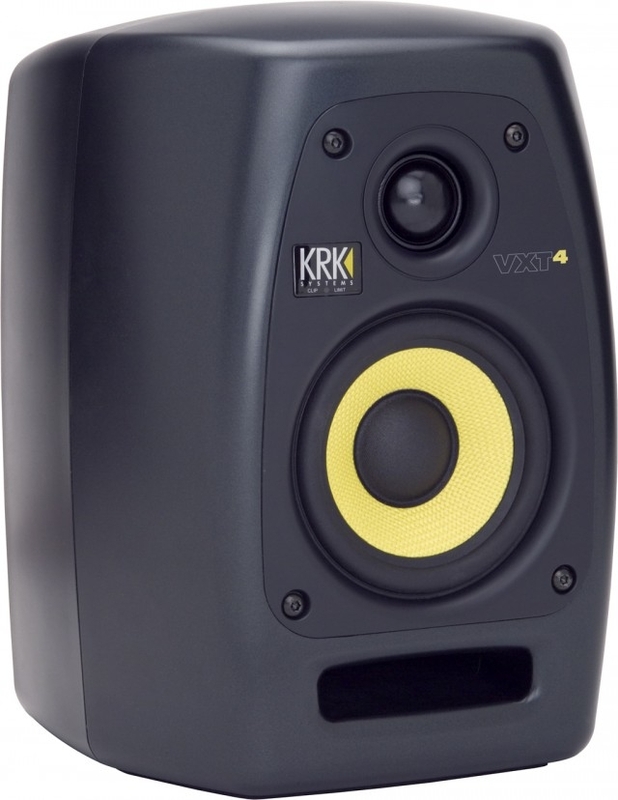 These monitors are very discerning: commercial mixes that have been mixed on the bright side of neutral sound quite obviously bright, while more natural-sounding mixes come over as smooth but detailed. 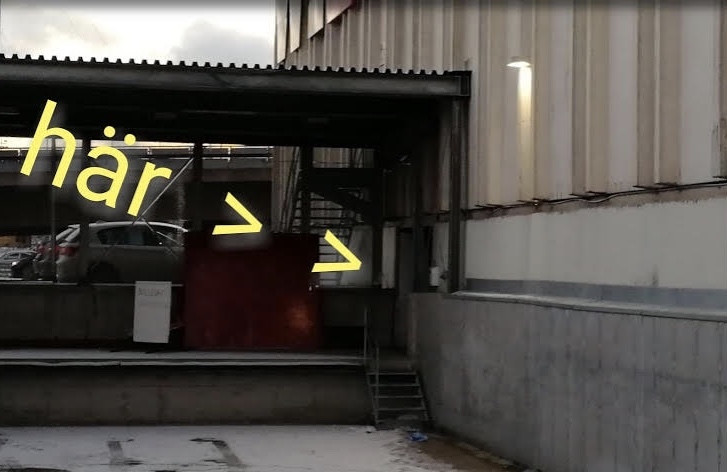 Stereo imaging is superb, which is often the case with physically small speakers, and finding a good location for them during testing wasn´t a problem. As pointed out earlier, you´re not going to get floor-shaking bass from a four-inch driver, but the reproduction of kick drum and bass guitar is still very credible. These are not the cheapest small monitors around, but they perform well and they come from a company with a good pedigree. 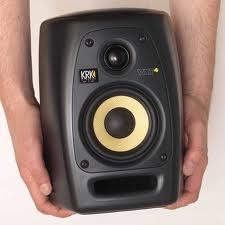 Personally, I´d choose the larger speakers in the range for use in decent-sized rooms, but if you have a studio set up in a small space, where large monitors would only produce a misleading bass end, the VXT4s make a lot of sense (and you can always add a sub if you decide to move to a larger room). In fact, these are some of the best small monitors I´ve tried.